Book for young people/children with T1 diabetes and their parents, written by Dr Ragnar Hanas. Also suitable for those diagnosed as adults. This is the book by the eminent Ragnar Hanas that I would recommend all professionals and parents as a remarkable resource reference on Type 1 diabetes. 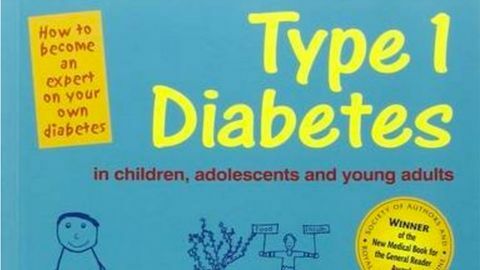 The diabetes bible for parents. This book is recommended by parents and used by many parents and is the 'go to' book for help and advice above many others. This is the latest edition (6th) and worth every penny just to keep at home. It doesn't need to be read from cover to cover if you don't want to and can be dipped in and out of when needed.